Have a look at the model ships used for the first Ben Hur film of 1925 and refurbished for use in the 1959 Charlton Heston epic. They are copper-hulled and 2-3 metres long ! Originally with a rowing mechanism inside they had wooden decks and sails and rigging now lost. Strange but beautiful. Not clear who bought them or how much for. You can see some of them in action on YOUTUBE at various locations. The ram is an instrument used to project the kinetic energy of the attacker into the hull of the target. If the energy put into the structure of the target exceeds the stress limits for that structure then it is damaged. 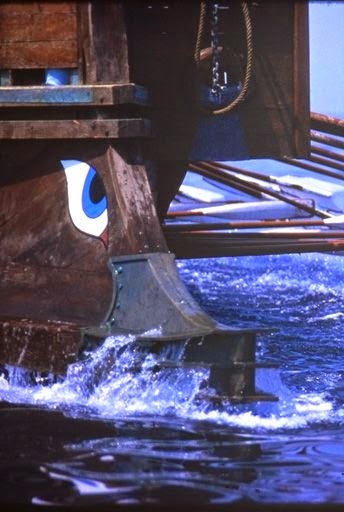 At sea a damaged structure fills with water to the disadvantage of its crew. Studies of ram function have accelerated since the discovery of the Egadi rams. Previously there were only three known and only 1 in perfect condition. Now we have many rams including some which show battle damage which can be analysed. What is surprising is the similarity of form the rams show. They are similar across time from monuments in ancient Greece of 4th century BC down to Rome of the first centuries AD. The found rams also show great similarity between Roman, Carthaginian and Greek examples. We know the ancients were no slouches in the technological sense. If something could be made to function better then it would be adopted if the economic situation allowed. 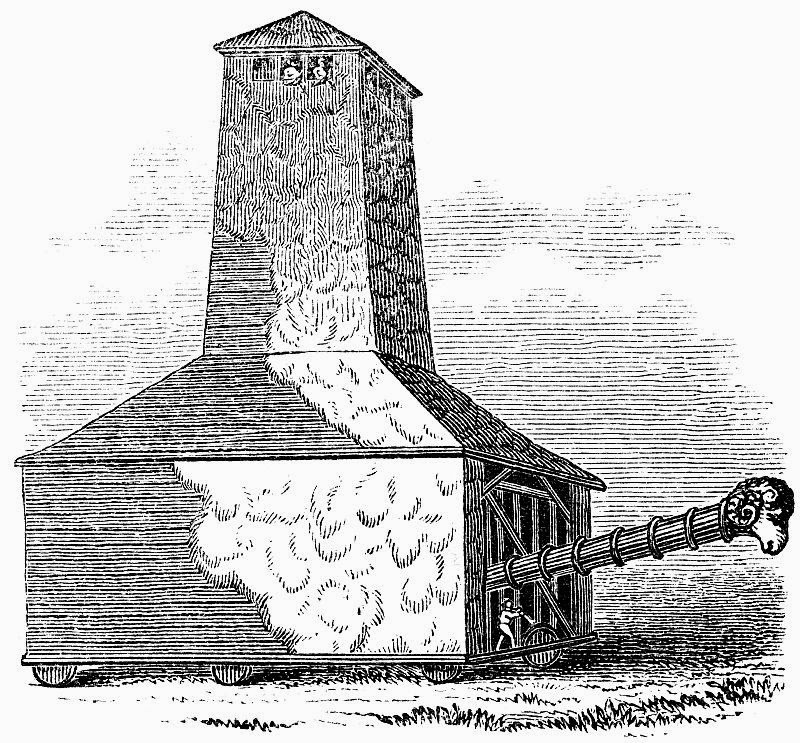 Witness the use of mechanical pumps, piped water, katapelta and the experimentation that produced Hero's steam turbine, Archimedes steam cannon etc. 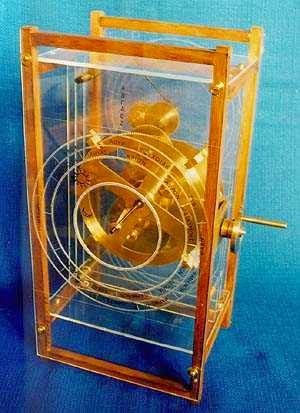 The Antikythera mechanism has been shown to be a wonderfully complex 'laptop' for celestial time and place calculations. It cannot have existed in isolation. The structural similarities the rams are showing us reveal effective mechanical principles that had been developed from experience and were held-to because they worked. The earliest images we have of rams show – if they are true military rams and not cut-waters – rounded spike-like forms. These would do the job of holing an opponent but the big problem with ramming as a tactic is at once apparent. Once one has smashed the ram into the opponent there is the problem of extrication. If the ram has a uniformly increasing size then the point exerts massive stress and will penetrate easily. As the point moves into the target the hole is widened as the rest of the ram follows. At some point, however, the compressive and resistive forces counter the attacker's momentum and the intrusion is stopped and the ram is gripped. 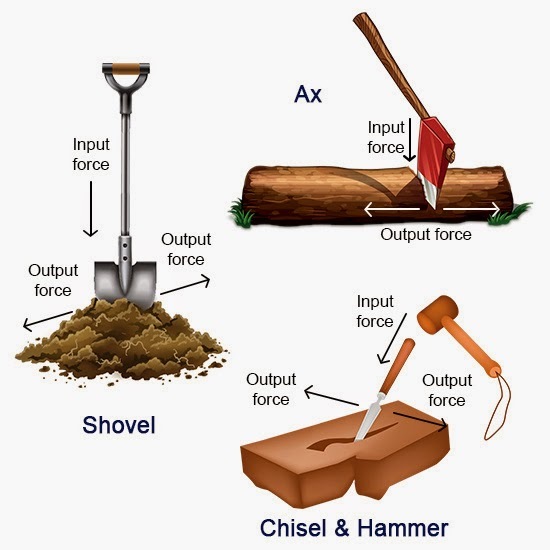 This is nicely illustrated by those of us who have energetically tried to split logs which are too wet or tough and, even though one strikes along the grain, they allow the blade of an axe in but grip it tight at some point allowing no escape. Boar spears and bayonets also have this problem – hence the cross-piece use to prevent deep penetration and the standard advice for bayoneteers to twist their weapon before attempting to pull it out of their adversary. The hull structure of ancient ships comprised planks laid edge-to-edge that were joined with many mortise-and-tenon joints. These were very tightly made. The resulting shell is very resistant to splitting and to lateral disruption. This kind of structure would grip a flat blade or a spike-formed penetration. A sheet of steel will simply fail and be punched open but a composite wooden structure will react elastically and grip the intrusion. The solution to the problem of holing and disrupting a wooden hull of the type used in triereis is rather more cunning. One must break the planks to make gaps and one must also overcome some of the joints to make recovery impossible and one must prise the hole wider to allow a serious amount of water in. Not surprisingly the ancient rams fit this purpose perfectly. The form is at first somewhat disguised by the ancient aesthetics of seeing the only appropriate device for penetrating an enemy at sea as a trident. This is the weapon of Poseidon or Neptune, the lords of the undersea. If one's maritime enemy should be smitten it is only fair to call upon and to acknowledge the help of the earthshaker. 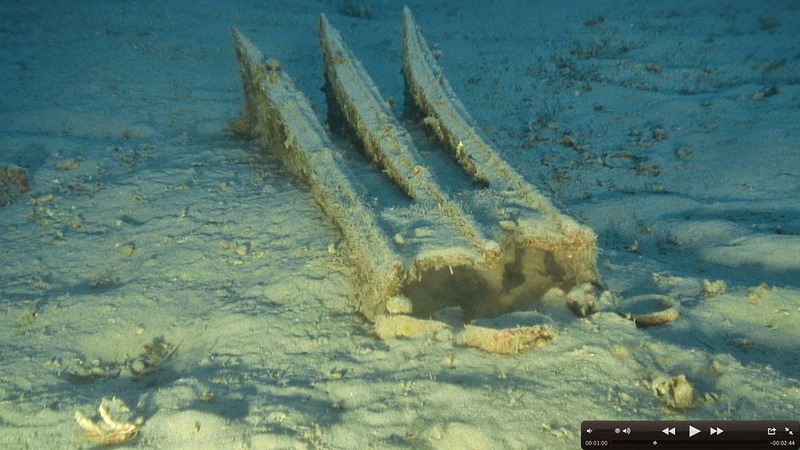 So when we look at an ancient ram we see a trident from the side superimposed on the geometry of a technical solution to staving-in the hull of a ship. It is not accidental that the ram has the three 'blades'. A single blade can wedge and be stuck. Two blades may penetrate but hold a single plank. Three blades can strike across two planks and three joint-lines giving a better chance of success. More blade are superfluous and begin to dissipate the force applied. The blades hit the target like chisels or axe-blades with their blades entering along the grain. The widening profile splits the wood. The vertical extent of the ram means at least one joint line will be hit and, hopefully, burst. 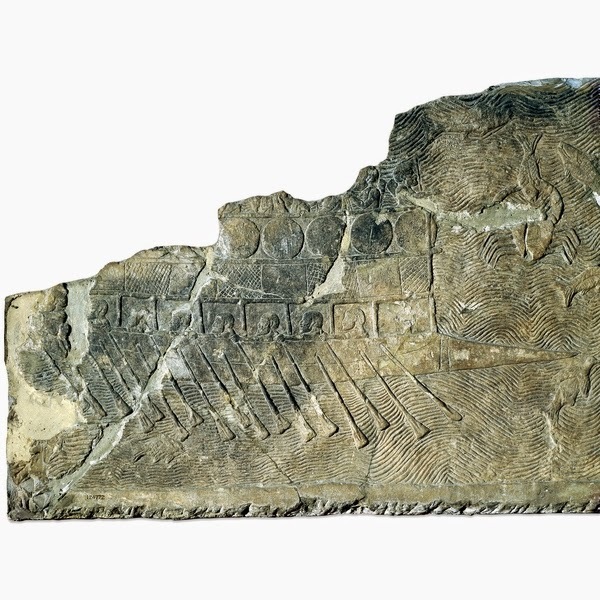 The strakes on ancient triereis wer in the order of 20 to 30 centimetres wide. The separation of the ram blades is of the same order thus ensuring a spread of attack across at least one and probably two joint lines and three or four strakes. 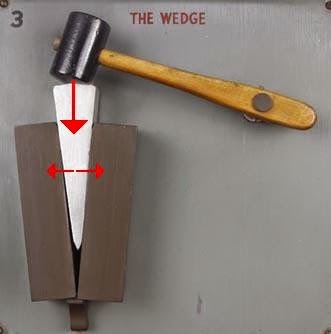 Once the blades have wedged open the target's planking then the momentum of the attacker is transmitted across the whole of the ram's cross-section – the so-called 'driving centre' – because the blades have a vertical cross-piece which joins them and presses all the wood in front into the target. This breaks the tenons out from their mortises. Once out of place they will never go back. There is no need to drive the ram deep into the target hull. It must just break the hull shell's integrity. 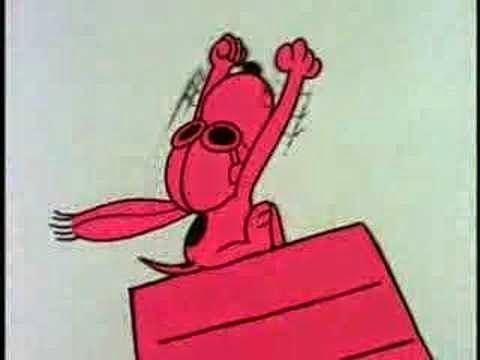 (Steffy(1983) refers to this when he says the ram 'pounded' rather than pierced the target). 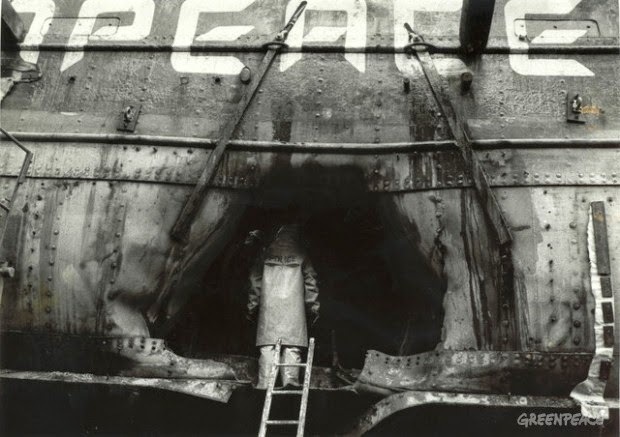 The hull shell of the target ships has now suffered a devastating blow from piston with sharp blades. The force developed by a triereis of circa 50 tonnes hitting at 10 knots has been calculated by John Coates as circa 66 tonnes. This is applied over the driving centre of the ram which is less than 50cm square. Something will give ! Hole made in hull. Police are looking into it. Computer simulations (Oldfield 2012) have been run to discover how much energy is needed to breach hulls in relation to woods used and the relative velocities and inertia of triereis. The results confirm that the concept of ancient warships as massive hulks engaging each other like mastodons with rams instead of tusks and delivering terrible damage to each other until one succumbs are completely wrong. The first point to be aware of that it is not speed we are discussing here but relative velocity. 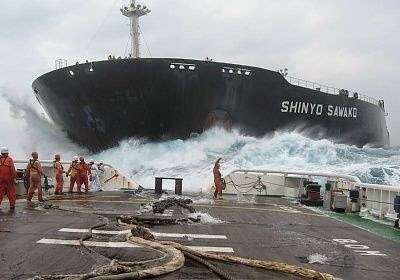 It makes a big difference to the impact if two ships are moving in the same or opposite directions. This will also have big implications for how we imagine triereis to operate, as we shall see. If the ships move towards each other the impact forces are much greater than if one is stationary or the target is moving away. Luckily, this is not a head-on collision so the force of impact will be reduced. Somewhat. 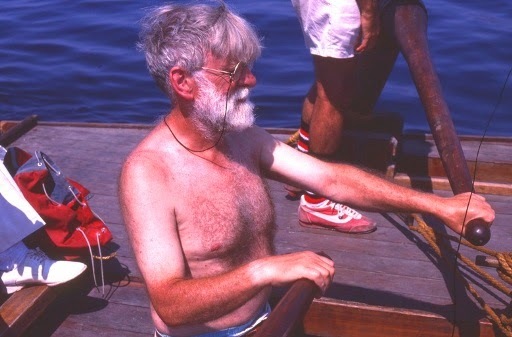 Oldfield discovered that the forces generated by a trieres ram are more than sufficient to catastrophically damage a trieres hull so long as the collision velocity was 0.5 knots ! 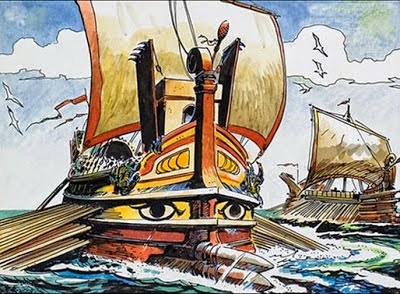 No need for cries of 'ramming speed' and extra lashes for the galley slaves ! A smooth approach at reasonable speed would result in a nice smooth impact and busting of the target's flush. The best angles for attack were, as may be expected, those closer to perpendicular. 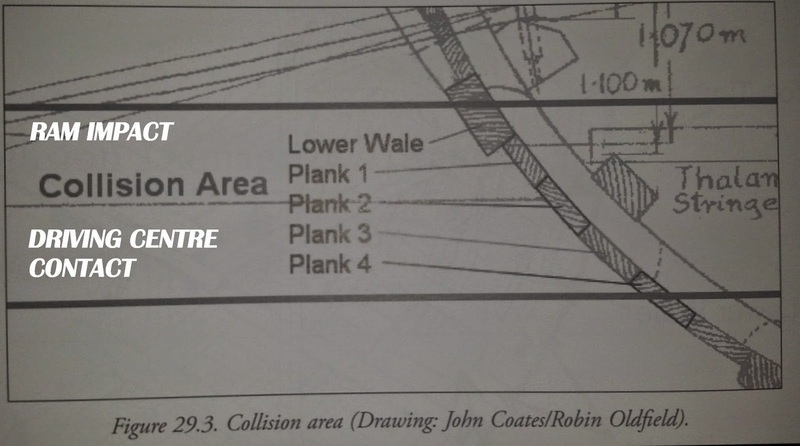 The strength of the mortise-and-tenon hull is greater against acute-angled attacks. Also, attacks with high closing velocities had a much greater chance of success than those pursuing – but this has a downside we shall discuss later. These finding mean that the kybernetes would know he could count on holing the target in a head-on attack and in an attack against a fleeing enemy he had to strike a careful balance to deliver his maximum effect which, if done correctly only need a 0.5 knot advantage in speed to hole the target. What we stand with now is a model for trieres battles which involves combatants more like first world war stringbags than mastodons. The opponents can easily damage each other if they are given the chance but each also has a high degree of manoeuvrability to use in evading being hit – or making a hit. Once hit effectively the game was probably quickly up (see this blog entry - 'Get Down Ship' 20/08/14). 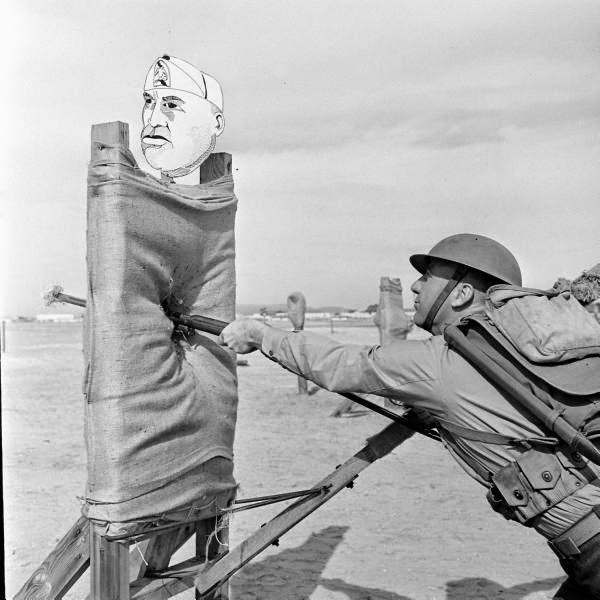 The weapon developed to equip the trieres was well suited to its purpose. It is hard to imagine a better form. 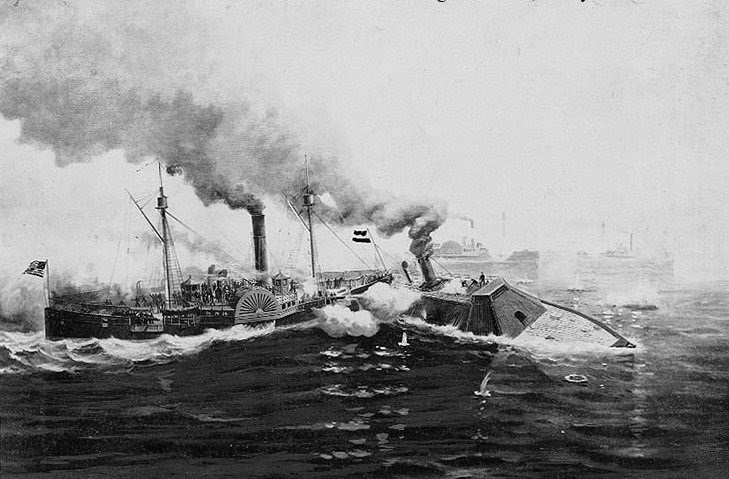 It was developed with full knowledge of the hull construction techniques then in use and exploited their weaknesses. These weaknesses would be well-known to the commanders – kybernetes, pentekontarchos and trierarch, as they stood anxiously on the poop-deck and sought to manoeuvre their ship to ensure its survival and success. The bronze fitting which was mounted at the bow of a trieres was there to damage an enemy ship and to guard the ship it was mounted on. In English this is called a 'ram'. This English term has a pro-active meaning as it does in the other Teutonic-influenced languages. The ram is an object which is meant to be propelled or driven forward and to impact on something. We have the battering ram used to open gates or to smash walls of a defended place. We have the hydraulic ram used in many pieces of machinery which is a tough head or bit which is pushed into a mould or target with tremendous force in order to cut or form it. In ancient Greek the word used is ἐμβόλου-embolon. From the verb emballein which is to insert. This word is related to our modern 'embolism'. An embolism is an obstruction caused by an embolus which is, in turn something which blocks, intervenes or is inserted into something. It is also a wedge used to pry timber apart into planks. Very appropriate for something which shivers ship's timbers. The Latin word used for the metal fitting at the bow of a warship is 'rostrum'. The word rostrum is still used today as it was by the Romans. It is the beak of a squid or the modified projecting mouthparts of the hemiptera. etc. 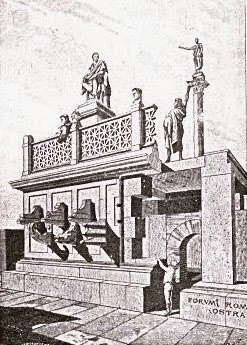 The 'rostrum' that modern speakers stand on is a descendant of the 'Rostra' which was a place in the Roman forum for public speaking decorated with the bow fittings of vanquished foes' ships. This Latin word implies that the bow-fitting is a characteristic feature of the warship. Part of its visual identity is the posession of the projecting 'beak'. Just as we may also think of a bird of prey as being characterised by its projecting, obvious, hooked beak. 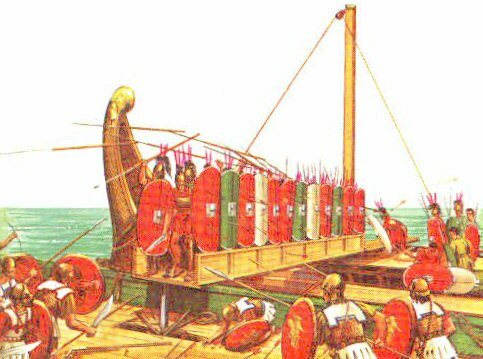 It is interesting that in the age when the Latins went to sea in a big way – the Punic Wars of the third and second centuries BC – they saw to it that ramming had declined as the main naval tactic. The Romans were learning to fight at sea after the great age of the trieres and against opponents who were proficient but not exactly 'rulers of the seas'. 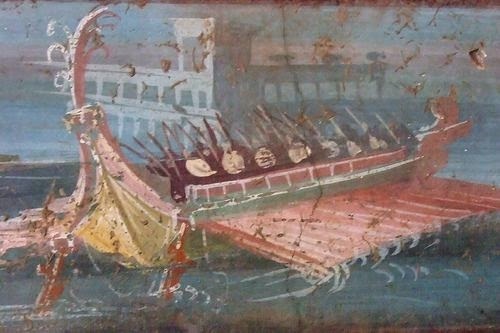 Also, the Roman experience of warfare at sea did not place the emphasis on ramming but on close combat using the ship as a platform for deck fighters. There existed a fundamental difference in the mental concept of the ship's bow as a military weapon. The Greek mentality saw the embolon as something to be driven into the enemy. It was the weapon on the ship. 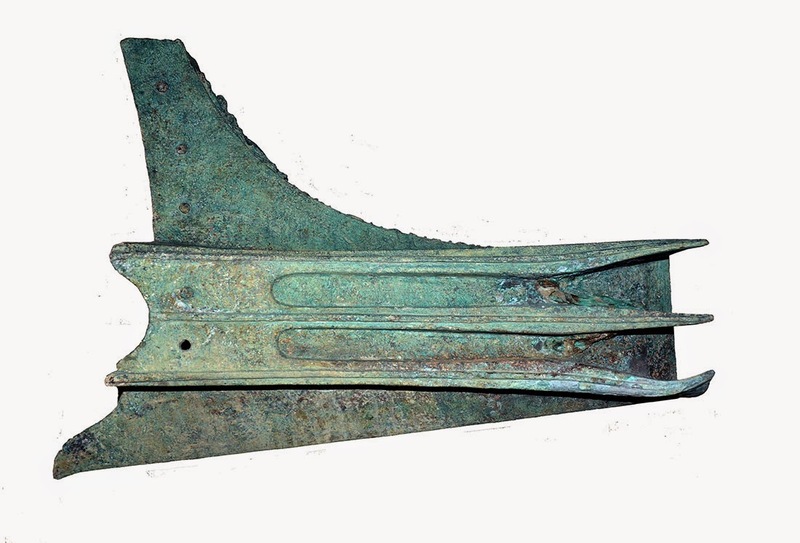 The Romans saw the rostrum as the finishing touch to the ship-of-war. 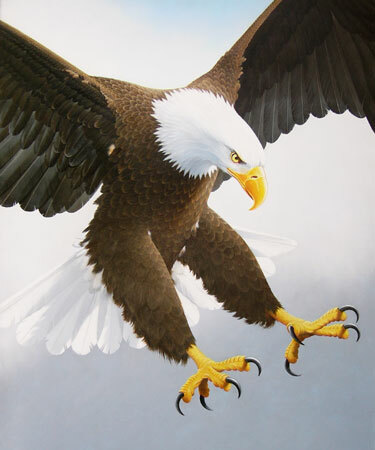 The terrible beak on the Imperial Eagle which gave it its martial and scary character. 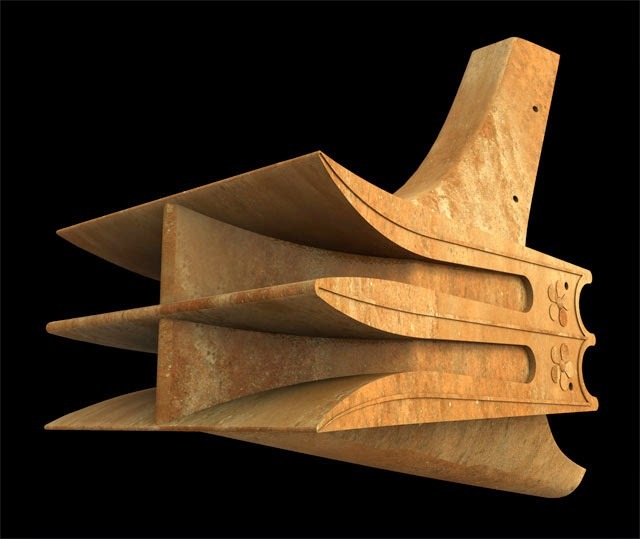 Whereas the Greeks epitomised the warship as the delivery system for a weapon of impact, the Romans saw it as a vessel for carrying fighters which in its military incarnation had to have a beak to fit the part. 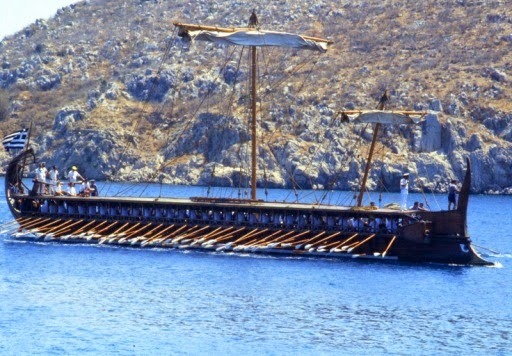 A Roman ship did not have to ram to be effective whereas a Greek trieres was nothing if it was not a ramming machine. One can not have too many pictures of Olympias!